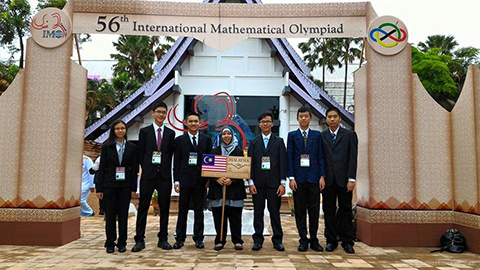 Sunway College A-level student Tan Kin Aun returned home with a bronze medal from the 9-day International Mathematical Olympiad (IMO) 2015 held in Chiang Mai, Thailand. 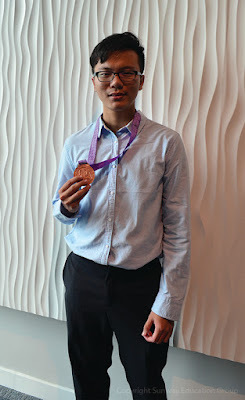 This was the second consecutive year that Sunway College A-level students bagged medals at the international competition in which Anzo Teh Zhao Yang won the gold whilst Khong Yi Kye secured the silver last year. The IMO, an extremely intensive and competitive mathematics competition, is one of the oldest, biggest and most prestigious of all the international science Olympiads with participants from over 100 countries. It was first held in 1959 in Romania and Malaysia has been sending teams to IMO annually since 1995. At the IMO, participants are tested with questions ranging from precalculus to other mathematical branches not conventionally covered in schools or at university level, such as projective and complex geometry, functional equations and well-grounded number theory, of which extensive knowledge of theorems is required. “Throughout the competition, I had to solve 6 problems with four and half hours to solve three problems per day. The problems were selected by leaders around the world and they were nothing like normal high school mathematical questions as we had to write essays supported with relevant equations as solutions to the questions,” recalled Tan, who started to be involved in Malaysia IMO team selection for training camps 4 years ago when he was 14, and finally was able to represent Malaysia in 2014 and 2015. 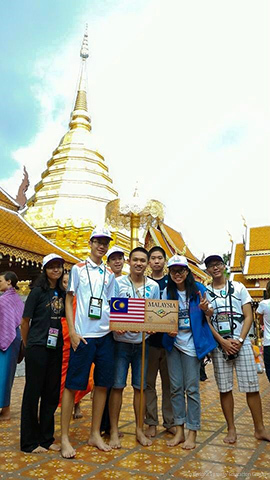 At the competition, Tan made many new friends whom he described as “maths geniuses” from across the world. Besides the competition, participants were allowed free time to mingle with each other and talk about their passion – mathematics, which Tan picked up ideas on how other contestants prepare for the competition and tackle the problems differently. They were also treated with excursions to places around Chiang Mai. “I hope to take part in the IMO again with better performance next year,” quipped Tan, adding that the IMO experience would be an added advantage for his future applications of undergraduates degrees in actuarial sciences or engineering to top world universities such as The Massachusetts Institute of Technology and Princeton University, and would hopefully enhance his chances of securing full scholarships for his further studies. Tan was highly influenced by his senior Anzo whom he met at the IMO training for choosing Sunway College A-level. “I feel that Sunway College is a place full of talented students and experienced lecturers,” said Tan, the active A-level Student Ambassador, who was impressed with the astounding Sunway College’s A-level students’ results and the high admission rates of its student to top universities. Indeed, Sunway College has proven itself to be the leading A-level provider. In the June 2015 Cambridge A-level examinations, of 390 total students who took the exams, 99.7 percent passed and 50 percent achieved straight As (3A*/As and above) with 195 straight A students. Five students of this cohort have accepted the offer to study at the University of Cambridge and one to the University of Oxford.